Starting with the people, we aim to get to the heart of a true Lean Transformation success story. That is what happened in the Frigoglass factory in Timisoara, Romania; the “best in class” of the 6 factories belonging to the Greek multinational, one of the world leaders in the production of refrigerators for alcoholic and non-alcoholic beverages. 1000 employees and 130,000 refrigerators produced every year: 30% of all Frigoglass production in the world comes from this factory situated on the outskirts of the 2021 European capital of culture. Enhanced performance and an improved working environment were the drivers that motivated the company to embrace Lean in 2013. Accompanied by its partner Lenovys in implementing an extensive programme to increase productivity and improve quality, the programme focused above all on instilling a culture of “continuous improvement”. This dual challenge did not allow for any compromise, either from the point of view of process performance or from social factors: this is the real key to a successful Lean Transformation. The first step could only come from mapping the existing processes (Value Stream Map) to hunt for opportunities for improvement. Hand in hand, the most delicate work concerned people and their cultural growth. Only then did we move on to tools to support the full implementation of the methodologies. Collectively we needed to build strong relationships of trust, based on involvement and careful planning of the new habits to be instilled. This pathway paved the way for a change in the factory’s layout and its conversion to the “one piece flow” (flow production) concept, which immediately provided benefits in terms of stock reduction and simplifying the work of the line operators. The journey continued with defining the Standard Operating Procedures (SOP) to allow for a reduction in production time and an increase in productivity and quality, and the standardisation of Daily Routines, like the Gemba Walk and the Daily Multifunctional Meetings. Extending Visual Management, based on Visual Planning, Visual Key Performance Indicators, Visual Operations Management and Visual Info Point had a great impact. “The thing that I appreciated most in Lenovys was the clear approach, in many practical aspects tailored to our needs – explains Radu Cotuna – Plant Manager of Frigoglass – They resorted to whatever was necessary to get everyone involved. It was one of my first experiences with consulting that I really appreciated”. 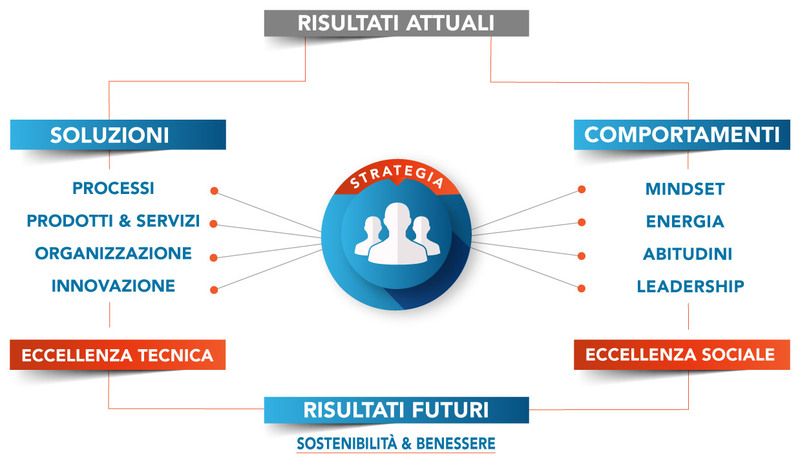 “The 3 factors that have been decisive for the success of the work done by Frigoglass in Romania were the strong leadership that drove the project – explains Giuseppe Patania, a Lenovys partner – the involvement of the entire organisation and the extremely practical approach that allowed us to obtain results with the enthusiasm of everyone involved”. The heart of the success of this Lean Transformation was in the people of Frigoglass: “we did not bring ready-made solutions, but rather we constantly sought the direct involvement of the improvement teams: they are the architects of the success, they are the ones who today can really feel the ownership of the results obtained”. “Our quality performance has improved by 52% – comments a very satsifed Marius Negrea – the Frigoglass Lean Manager – while productivity expressed in man-hours per standard unit has increased by 16%”. “Finally, it should be noted that the improvement in the factory’s efficiency took place in parallel with the increase in the complexity of the products – concludes Giuseppe Patania –This result enabled Frigoglass to rise to the challenge of competitiveness in its market with an significant advantage that has been transformed into an increase in its production volumes”.